"gulls are equipped by nature to forage for food"
"a girl foraging grass for oxen"
obtain food or provisions from (a place). "a man foraging a dumpster finds some celery"
"Colonel Kendricks sent out a small party to forage for provisions"
This is Wild Ginger. Once dried in can be ground down in mortar and pestle. The root was used by Indians as a Antiseptic. We use it in our soaps and salves. Wild Ginger spreads by using its underground network of rhizome roots. When harvesting just find a place where they are plentiful and be sure not to take all the root. Wild Geranium . When applied topically, an astringent binds to the mucous membrane causing it to constrict or shrink. This process serves the dual purpose of both protecting the area to which it was applied and promoting healing. The root Is a rhizome. We generally divide it by taking a quarter of the root and leaving the rest for next years regrowth. don't forget to cover the root back up. 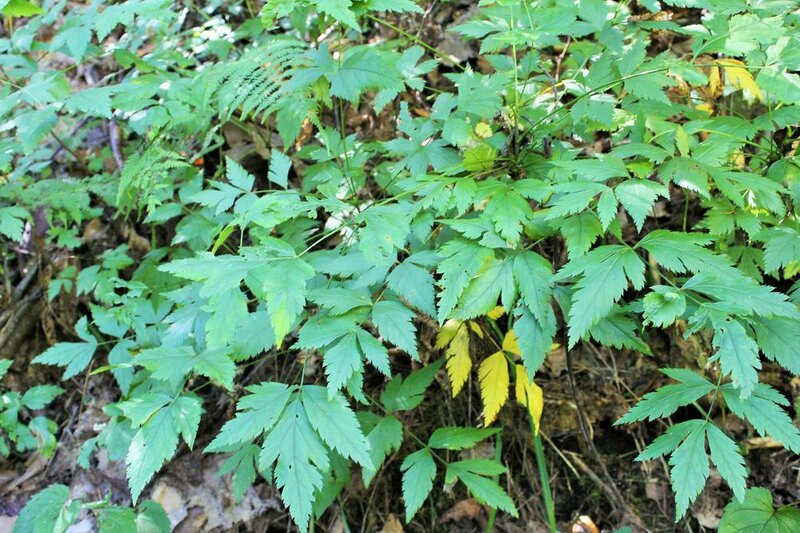 Yellowroot plant commonly found along rivers and streams. Yellowroot is a bitter tasting root which has anti-inflammatory and anti-microbial properties. My brother and I make tinctures from it for use during the cold season. Its also great for treating skin infections from bacteria when used as a wash. When Yellow root is washed fresh in a stream it appears extremely yellow. 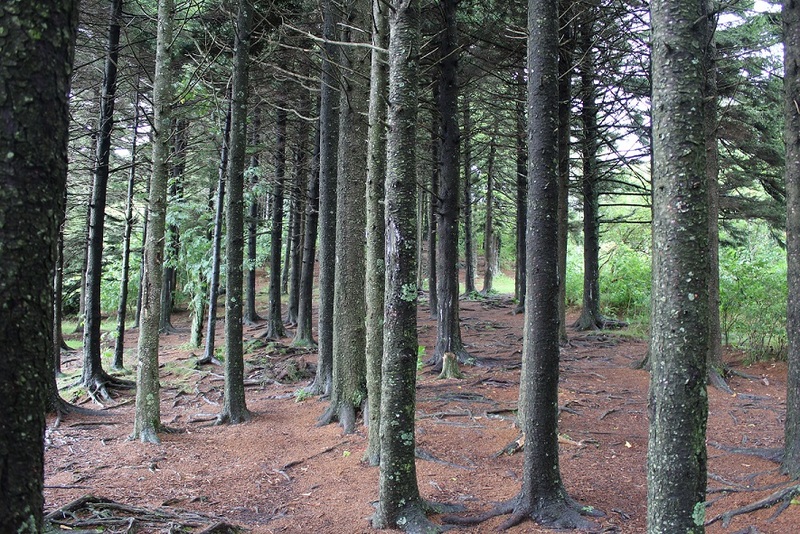 Balsam Fir trees growing on Black Balsam knob in the Appalachians. Collecting Sap from the Balsam Fir. This sap is highly fragrant. Every time I collect sap from these magnificent trees I thank them for their gift to humanity. just as this sap helps heal the tree it helps heal the human skin. 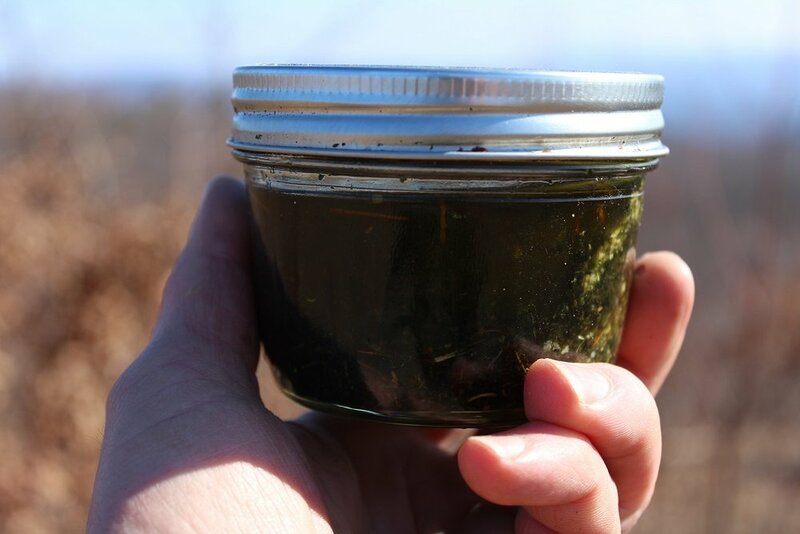 From this sap we make a fragrant wound healing salve. The sap is dissolved in sweet almond oil over a period of a few days. In the process it takes its wonderful healing properties and fragrance with it. I throw the whole plant into olive oil and infuse for up to six weeks. Some of the root I will set aside to dry and use it in a delicious tea blend we call Sleepy Bear. Collecting dandelion root. The dandelion loves rocky soil. Chop it up as soon as you harvest it because once it dries it becomes very hard.